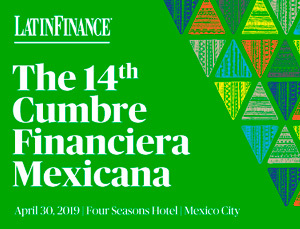 The United States Department of Commerce, U.S. Commercial Service, California Manufacturing Technology Consulting, Co-Production, TECMA and Bryan Gonzalez Vargas y Gonzalez Baz. Baja California has become Mexico’s most important state for aerospace, medical and electronic industries. Between Mexicali, Tijuana, Tecate, Ensenada and Playas de Rosarito there are over 101 industrial parks. Baja California offers more than 50 years of aeronatical experience with more than 93 companies representing 21% nationwide. 60% are AS9100 and/or Nadcap Certified. Baja California also leads the medical device industry in Mexico including more than 69 established companies with processes of design, assambly, manufacturing, sterilization. Together with San Diego both integrate the most sophisticated and diverse binational medical device group in North America. 1. 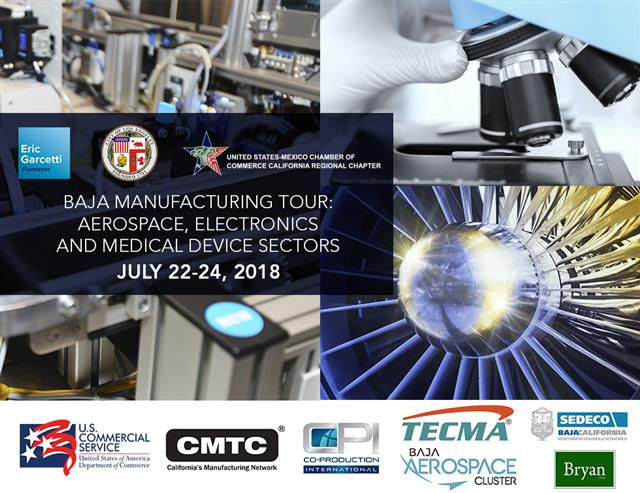 Connect the aerospace, electronics and medical sectors between the regions of Los Angeles and Baja California. 2. Identify and facilitate supplier-buyer business relationships in the different sectors. 3. Reinforce relationships between the City of Los Angeles and Tijuana. U.S. suppliers in the three industries. Valle de Guadalupe visit to the wineries and tour. Transportation from San Ysidro to Tijuana, transportation inside Tijuana, and drop off at the border crossing in San Ysidro. Breakfasts, meetings, conferences, wine tasting and dinner at the wineries in Ensenada. Comfortable and closed toe shoes (for site visits).